Will these patents too be invalidated en masse? THE EPO scandals have many aspects to them; one of these many aspects is patent quality. Originally, our sole criticism of the EPO (before we knew better and got in-depth knowledge about Battistelli et al) was granting of software patents in Europe. It didn’t start with Battistelli, but it definitely accelerated and exacerbated due to him. Insiders tell us that they are pressured to grant software patents that they don’t wish to grant (some of them are, as a matter of principle, against software patents). The EPO’s public advocacy of software patents is nothing new; Georg Weber did it earlier this year and Grant Philpott still does it every now and then. We have given many other examples earlier this year and last year. Managing IP, as usual, is offering them a platform. It’s a platform for the nefarious agenda shared by Managing IP‘s revenue sources, notably patent maximalists. Even the travel expenses (to Munich) seem not to be a problem for these people… it’s like they collude or conspire with the EPO. Such is the nature of the relationship, as we noted in our previous article about this latest event (today). “It’s a platform for the nefarious agenda shared by Managing IP‘s revenue sources, notably patent maximalists.”Benjamin Henrion drew my attention to today’s lobbying for software patents in Europe, courtesy of the EPO. They don’t want to say “software patents” (a dirty word/term), so they say “CII” instead (it’s the same thing). “Koen Lievens of @EPOorg explaining how the office deals with software inventions + dos & don’t,” Managing IP wrote a couple of hours ago. “Says office not slow #EUPATENT2017 #CII […] If you’re drafting and filing CII applications make sure you check @EPOorg http://www.epo.org/law-practice/legal-texts/guidelines/cii-index.html … #software #patentability #EUPatent2017 […] 2 hurdles to overcome for ‘mixed type’ inventions. 2nd is high, what @EPOorg has in mind when reviewing your CII application #EUPATENT2017. 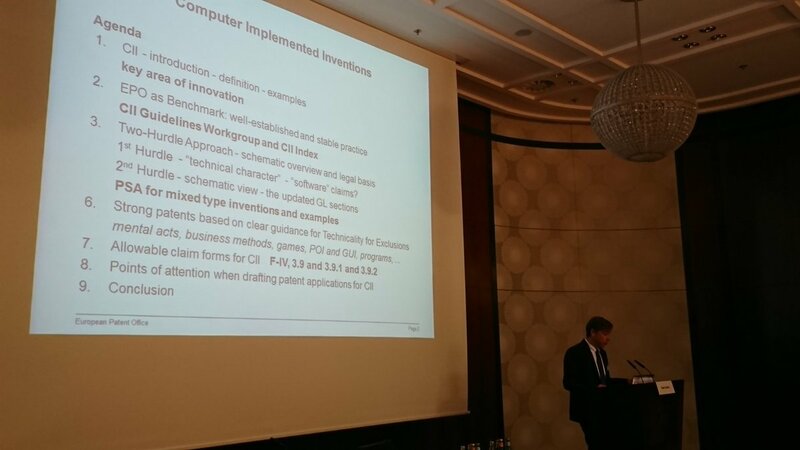 […] The CII guidelines will be updated this year with more information and examples. #software #patent #EUPatent2017″ (notice that even Managing IP now tags it #software and #patent). “This is a recipe for disaster!”“CII applications” are being welcomed by those who should reject them as a matter of principle and still, in spite of all this, the number of applications for EPs is declining. How much longer can these people break the rules and how much longer can the Organisation tolerate patents that should never have been granted (it has just voided many in one fell swoop)?